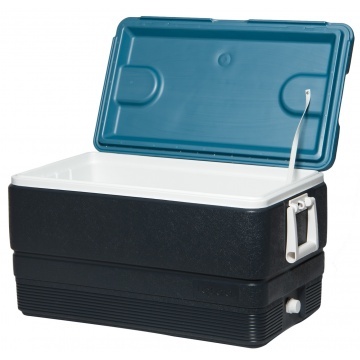 The large Igloo MaxCold 70 QT is perfectly suited for use as a outdoor leisure, fishing, camping or commercial catering cool box. 67 litre 70 QT cold or frozen storage capacity. 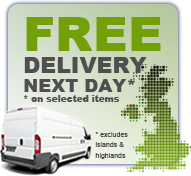 Ideal for leisure or commercial catering use. 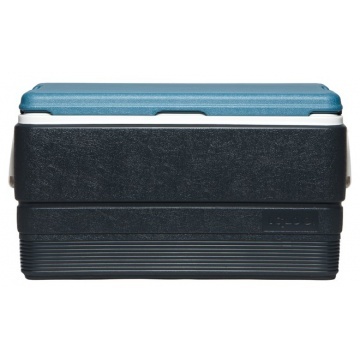 Tests show this cool box when filled with ice can keep the ice frozen for up to 5 days. Patented CFC free Ultratherm insulated body and lid ensures maximum cold retention. 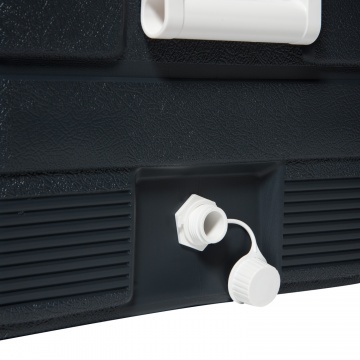 Easy access Surelock hinge holds lid open. Two reinforced high durability handles. Non rust screw in drain plug aids cleaning. Vertical space for standing 2 litre bottles. Can store 114 x 330 ml drinks cans. Colour: jet carbon / ice blue.